At OpenTable, we take pleasure in Software Design. We believe that velocity comes from a commitment to clean code and solid engineering principles. We deliver innovative products through rapid, continuous development. Millions of diners and thousands of restaurants around the globe use our products. If you are excited by constantly challenging engineering processes and can deliver exceptional quality in a fast-paced, agile environment, we'd like to meet you. Bonus points if you love restaurants too! 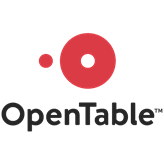 OpenTable is the world's leading provider of online restaurant reservations, seating more than 15 million diners per month via online bookings across more than 31,000 restaurants. In addition to the website and mobile apps, OpenTable powers online reservations for nearly 600 partners, including many of the Internet's most popular global and local brands. For restaurants, the OpenTable hospitality solutions enable them to manage their reservation book, streamline their operations and enhance their service levels. Since its inception in 1998, OpenTable has seated more than 620 million diners around the world. OpenTable is owned by the Priceline group. Headquartered in San Francisco, the OpenTable service is available throughout the United States, as well as in Canada, Germany, Japan, Mexico and the UK. We take ownership of our features from ideas to delivery. This includes planning sessions with product teams to building out servers and configuring our deployment process. We are patient with our designs in order to pay off technical debt early and learn from our past mistakes. We believe strongly in Continuous Delivery, although we haven’t completed our journey. We build infrastructure around testing our applications the same way every time. We unit test at several levels, automated acceptance tests in multiple browsers, and performance tests. Our software does not yet deploy itself but we’re getting there. We’re looking for people who share our obsession with restaurants, innovation, and collaboration to help connect diners and restaurants and create amazing and memorable dining experiences. OpenTable headquarters are in downtown San Francisco just three blocks from Union Square. And we have teams throughout the US, and in Germany, the UK, Canada, Mexico, India, and Japan – all cultivating what we started in San Francisco. As a company, we are in transition from a mostly Microsoft stack to a FOSS stack. We're reasonably platform agnostic, as long as you speak JSON. Much of our front end is developed in Node.js, or Ruby on Rails. We have been hard at work delivering our new application platform, with an underlying RESTful service stack that enables rapid experiments with different tools and technologies at the UI layer.